You know Katrina. That wild and woolly tempest that left wreckage everywhere she went. But it was her aftermath that really caused problems. She wasn’t just an uncontrollable mess; she was a certified disaster. 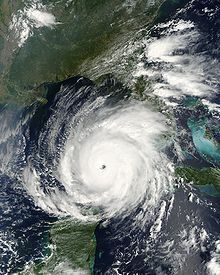 Katrina blew into the Gulf of Mexico on August 29, 2005. She flattened towns, rolled over bridges, and tore apart families. When she left, everyone breathed a sigh of relief. Until the levees broke. Doused with gushing water, New Orleans barely survived. Government agencies missed opportunities to make on the spot decisions. 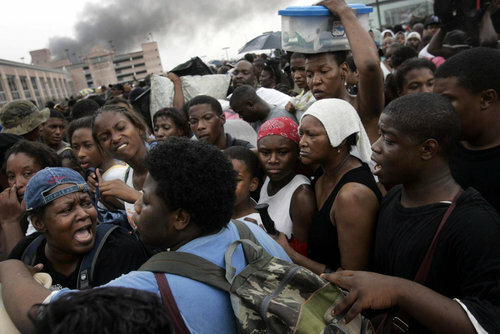 Thousands of people were suddenly displaced. Many ended up in Houston communities like mine. 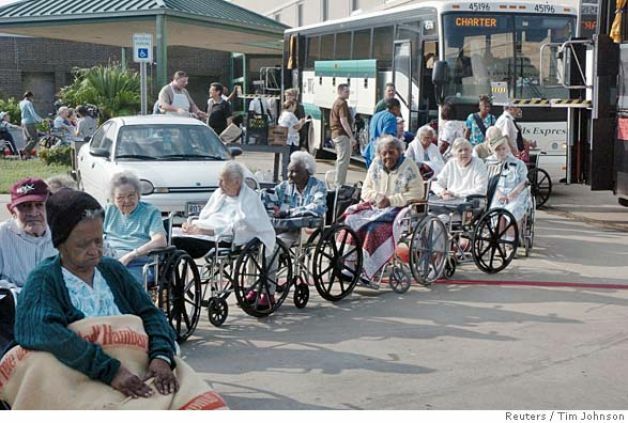 Determined to learn from the mistakes of Katrina, Texas implemented evacuation procedures just in case. Just in case happened three weeks later. Rita was first noted off the coast of Africa on September 7. 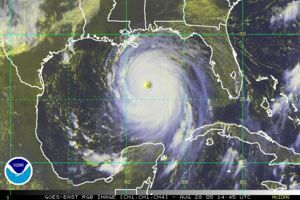 She slowly wrapped her way around various Atlantic and Caribbean islands until she found herself gaining speed in the Gulf of Mexico where she became a Category 5 Hurricane. 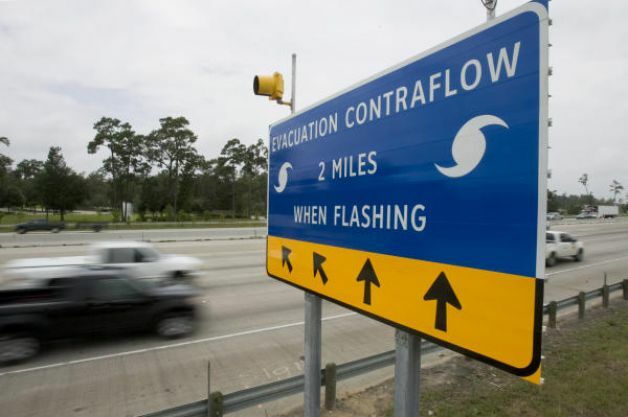 On September 24, Rita made landfall just to the east of Houston between Sabine Pass, Texas and Johnson Bayou, Louisiana. Where was I, you ask? I was safely at my cousin’s vacant house outside of Fort Worth. I departed Houston in a hurry on September 22 along with three million other people. At 3:30pm, I loaded up my boys, my dog, some snacks, and memorabilia and headed north with a tankful of gas, just in case. As traffic crawled, bathroom urges became too strong to ignore. I pulled the car off the highway and into a gas station which had just run out of gas. The five minute stop added hours to our commute as we missed our place in line. After a long while, I finally merged onto the freeway and continued to follow the line of cars “escaping” the city. What I didn’t know for another hour was that I merged onto a different highway heading in a different direction. Panicked, I did the one thing every girl does when she’s in trouble. I called Daddy. Dad found a map and with a series of phone calls, I made it back onto a road to Fort Worth. At 2:30am, I reached my destination; some people never made it out of Houston and were stuck on the road for more than twenty-four hours. 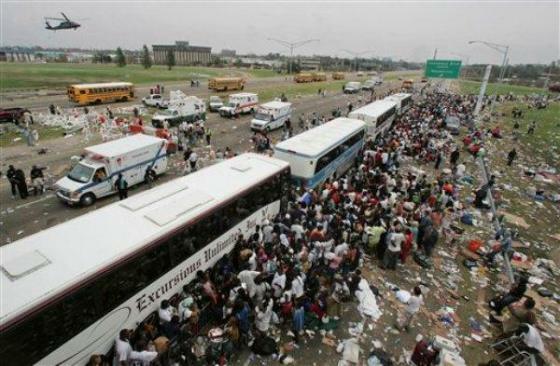 Over one hundred people died trying to flee the city in the largest mass evacuation in US history. I eventually considered myself lucky; but not at that moment. At that moment, I was in the car with two children and a dog, in Poolville, Texas, at an abandoned ranch with a locked gate and no electricity. My cousin already had a refugee camp set up in his permanent residence: dogs, cats, a bird, and several other Houstonians had dibs on guest beds and couches at his home. The boys and I spent the night at the old ranch house. 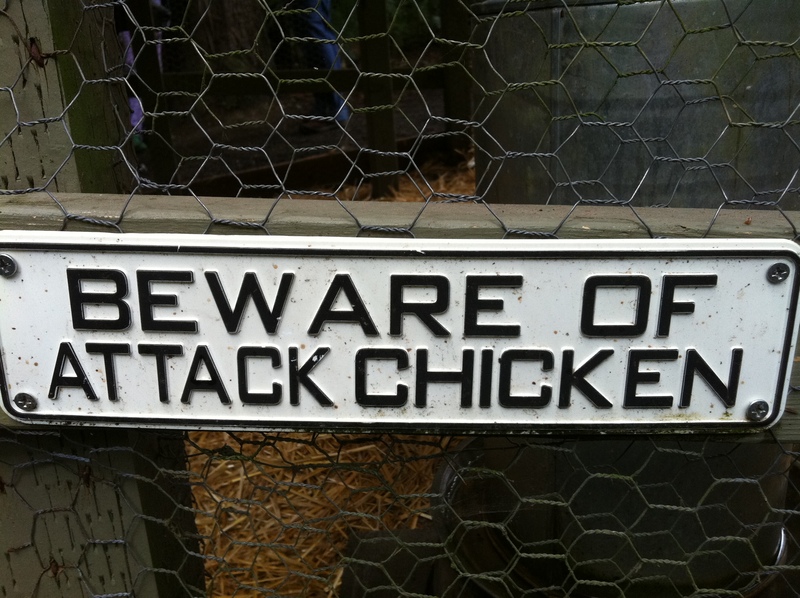 With another series of phone calls, I managed to open the gate and avoid being attacked by the one-eyed chicken that lived there a mere twenty-four hours before Rita made landfall. Early the next morning my Dad boarded a plane bound for DFW from Philadelphia to help his baby girl. God Bless Daddy. Spending the day at the “refugee camp” with the other displaced Houstonians, we all waited and worried for Rita to come ashore. At the last minute, she veered east and flattened places like Terrebonne Parish and Cameron Parish in Louisiana in the middle of the night. 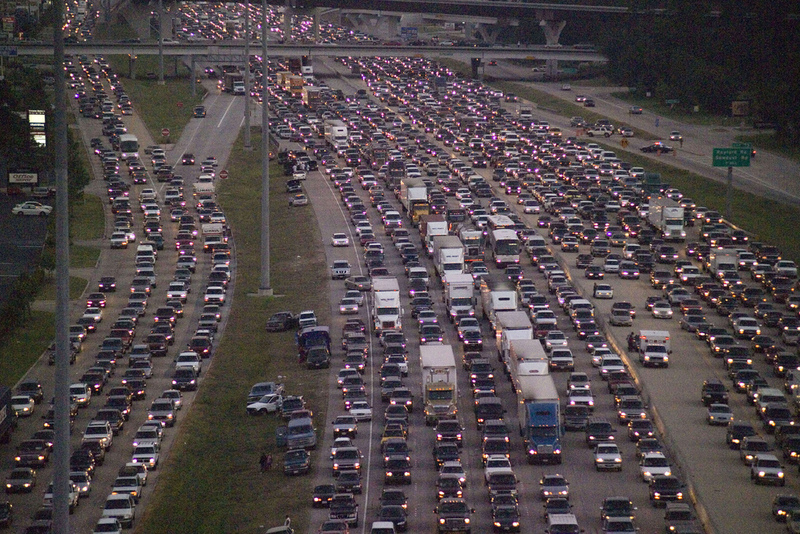 Knowing the turmoil it took to leave Houston, my kids, dog, and dad packed up the car and headed towards home early on September 24 hoping most people would leave after sun-up. Traffic crawled, but we made the four hour trip home within eight hours. Turning onto my street, I breathed a sigh of relief. But I wasn’t expecting the sight just feet away from my house. Police cars, an ambulance, tow trucks, tree trimmer trucks, a totaled Toyota Celica. Something had happened. An old oak tree toppled onto the neighbor’s house during the storm. 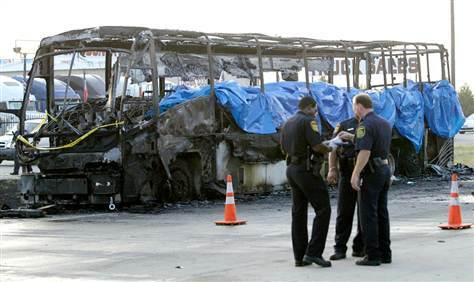 Fortunately, no one was hurt until a Katrina refugee, stoned out of his mind, crashed his car into the tree trimmer truck. The drama on the corner reaffirmed my decision to leave Houston. 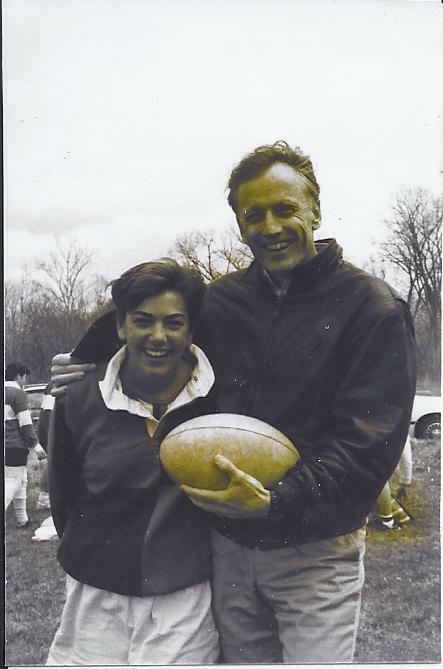 I was happy that the West Houston hooligan in my imaginary headline didn’t terrorize anyone other than himself, but I was even happier that my dad was with me, just in case.